Rated 1 out of 5 by KirstyR25 from What have you done?! Jelly tots have always been my favourite sweets, been fancying them for a while and picked a bag up today. Why are they more like fruit pastilles now? Who asked for this change?! Ahhhhh gutted. Rated 1 out of 5 by Jellybean from What happened?? Love jelly tots, but the new ones are not good! They are just mini fruit pastilles now - not tots. Bring back the orginal ones!! 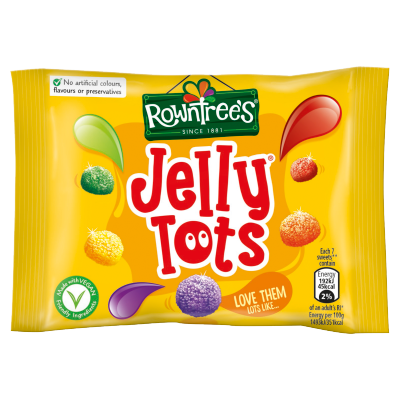 Rated 3 out of 5 by Ian in sheffield from jelly tots changed shape I've always like jelly tots but they have changed shape and don't taste the same. i won't be purchasing them in the future. you've ruined a classic sweet. Rated 1 out of 5 by KatieW from Ever Jelly Tots have been Super-sized! How terribly disappointing, opened my favourite tube of sweets from Christmas and someone has stolen my Jelly Tots and left me with poor impostors. Not nice, too big and I don't think they taste the same either. I have been enjoying these lovely 'little sweets' for years and now they have changed just like everything else. 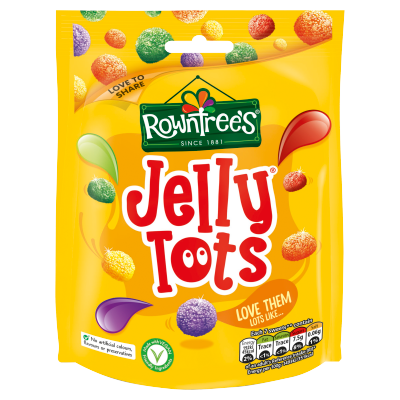 Rated 1 out of 5 by MrsMe from Just opened my Christmas Jelly tots So been savouring my jelly tots...knowing they’re not good for me so just waiting for the right time to destroy the whole 150g bag.....opened the bag and bamb...they aren’t the right jelly tots! They’re now jelly toddlers! They so much bigger....same taste but not my patiently waited and savoured jelly tots! PLEASE BRING BACk THE ACTUAL JEELY TOTS...PLEASE!! Rated 1 out of 5 by Stu250 from Awful They have way to much sugar in the tube it was like a bag of sugar poured into it! !